Really happy with the main forms now. When I return from LA, I’ll work back in on the details more and start refining his subtle facial features. It’s tricky since I have to translate PJ Lynch’s brilliant 2D imagery into 3D. The key thing for me was to maintain the appeal of PJ’s original painting. For those of you who know the book, you’ll know which piece of artwork I refer to! Eye direction was important to, it’s not easy to see from this angle but I have eyes balls in the sculpt that I can rotate and point as necessary. I’ll update this post with a 3 quarter angle soon. Wow, what an action packed 7 days this has been. 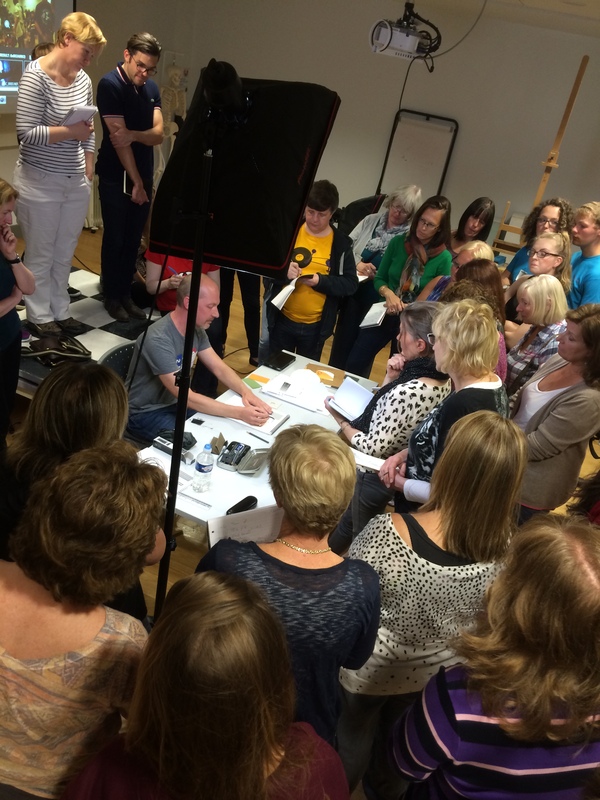 The Draw-In Symposium had been an amazing experience already, so to be followed on with Colleen Barry’s 5 day figure drawing workshop… it’s been brilliant. 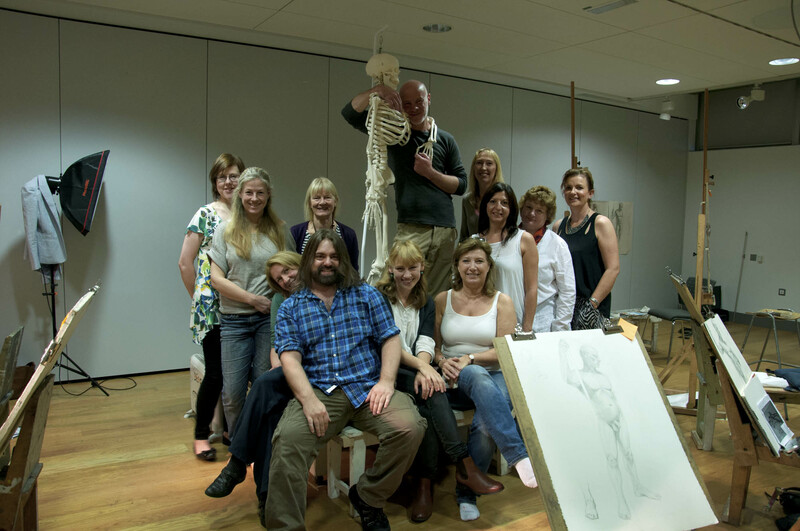 I’ve learned alot, We revisited key anatomical structure points, gesture, posing, anatomical structure… it’s been an intense 5 days. As it happens, for me at least it has gone by lightning fast. Listening to Colleen articulate what she knows about human anatomy, how the bones function, twist and turn, carry weight and how various muscle groups are attached and then relating all of this to the life and essence of our subject matter, is like being a kid in school again and listening to … hmm, I don’t know, ghosts stories at Hallowe’en perhaps! Day Three: The Head, neck and Shoulder Girdle and to develop the correct orientation of the head, neck and shoulders. The final piece, on Friday 5th Sept. 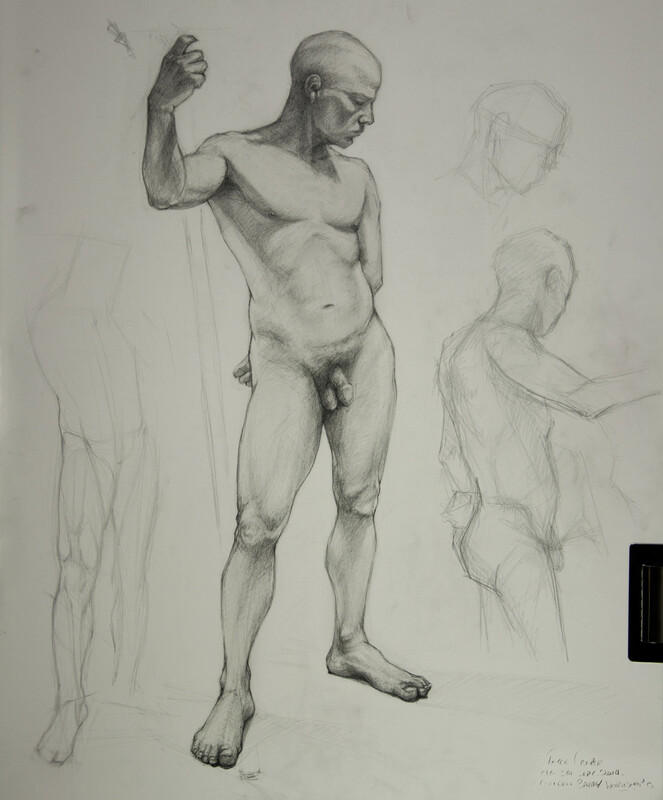 I learned alot through working on a contrapposto pose. One thing I learned through this approach was how to better utilize and understand how form shadows and casting shadows were produced on the model. Colleen did a good job of explaining this, it’s been a fantastic experience. 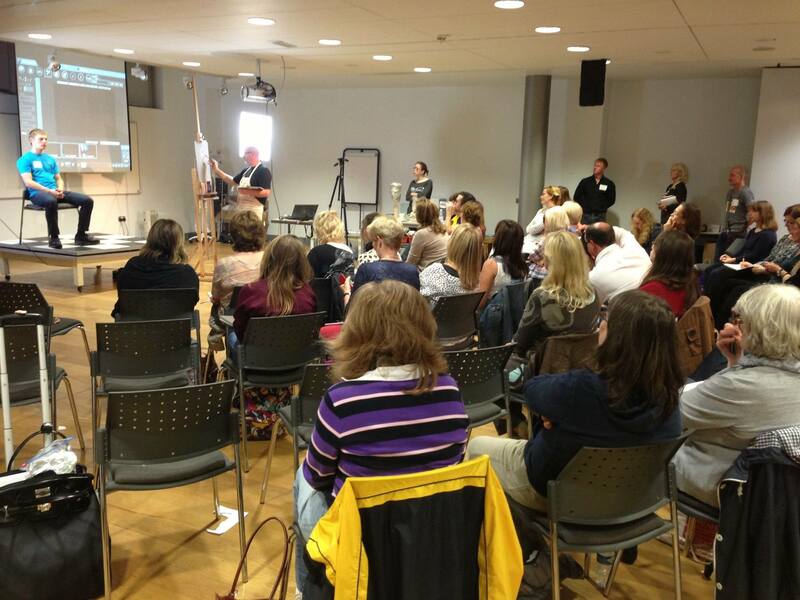 It’s only been a day since we finished our workshop. I realize now that to move forwards and improve on my own anatomical processes, I will need longer sessions to study. I’m currently utilizing the figure drawing classes in the University of Ulster, but they cater mainly for animation students and as helpful as they are, it’s not enough to help me move forwards. The longest pose we might have during that class is 45min, and that isn’t enough to explore tonal value and the subtleties in anatomical form whilst keeping it loose, free and allowing the drawing to breath and maintain the energy of the model. There’s alot to think about. In summary we had an intense but fantastic experience working through the week. I’m hoping I can do this again soon! Colleen is able to articulate her wealth of knowledge and experience beautifully and is very generous with her time when assistance was needed. Made a bunch of new friends, in all it was alot of fun! The Symposium kicked off with a fantastic talk by Colleen Barry. Colleen is a phenomenal artist and painter and her growing wealth of experience and knowledge she openly shares with others. 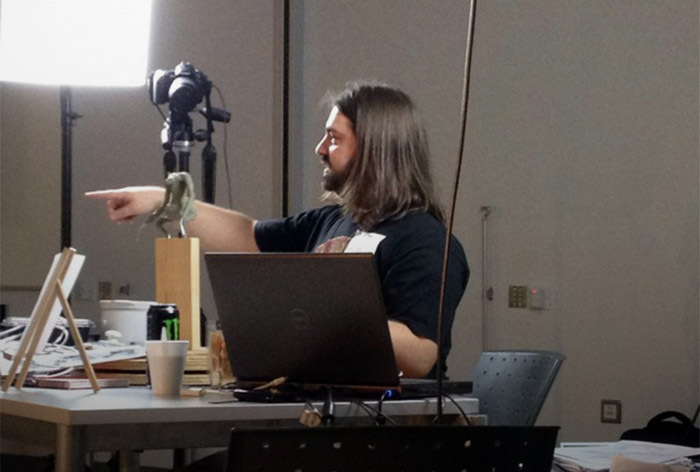 I gave a 1 hour creature sculpting demo, I touched on building a wire armature, the drawing and design processes involved, laying out the main forms and masses of the character and posing the design in dynamic but subtle ways to help bring out the character of the creature. 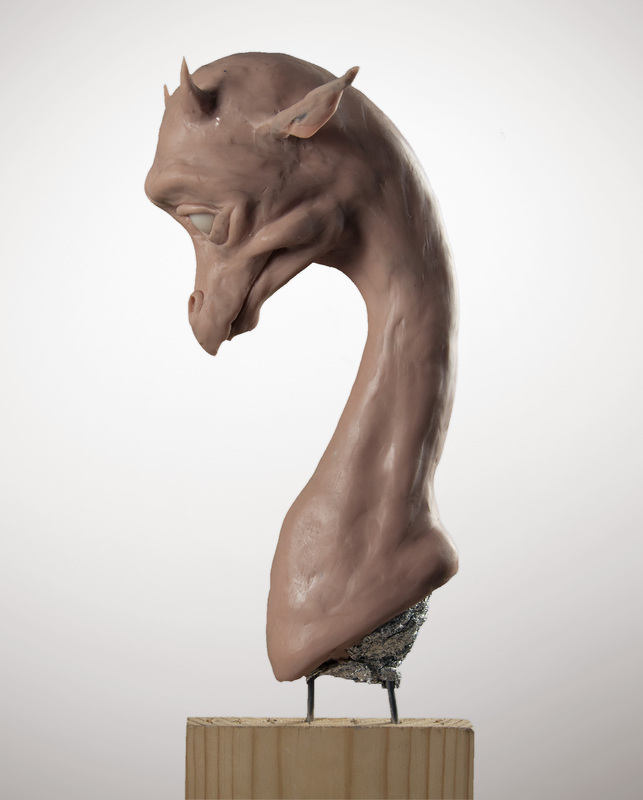 I’ll have an update on this creature sculpt very soon. I had approx 1 hour to flesh this fella out. The guys in the audience are born sculptors in their own right! 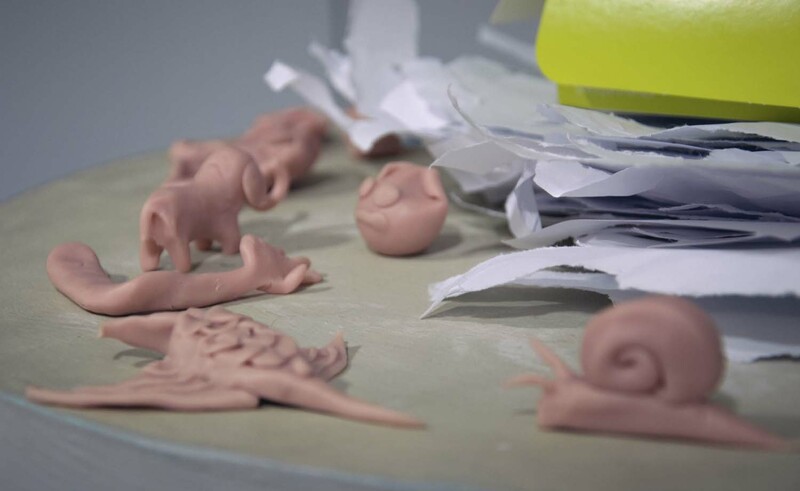 After we passed out some Super Sculpey to the audience they got stuck right in, here’s just a handful of what was made during my time on the stage. I’m so impressed! In between workshops, I’d be doodling 3D creature concepts in the shadows… this was a 3D blockout of the main creature design I was working on during the Saturday. 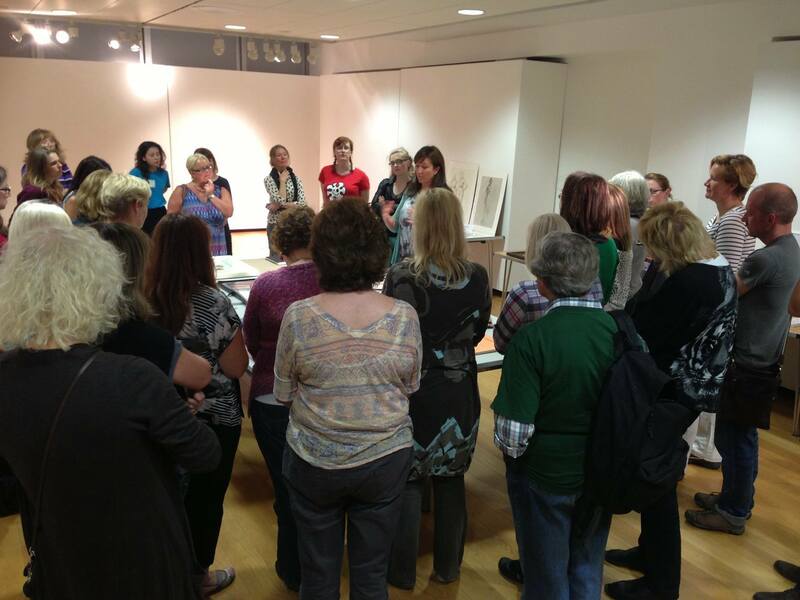 I had lots of invaluable input from some of the artists involved working through workshops of the day. Thanks to their insane enthusiasm and help, I was able to make design decisions much faster than normal to help me along the way. Finally got the opportunity to meet PJ Lynch at long last. A really good guy, fantastic artist and a professional through and through. 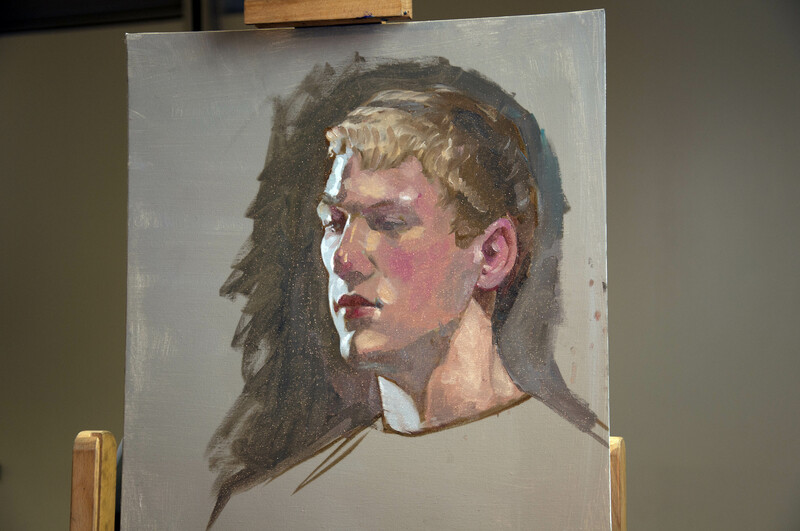 He gave an hour long portrait demo whilst at the same time taking questions from the audience as he worked. I’m a huge fan of the artwork he produced for the book Ignis by Gina Wilson, and I had the honor of showing him the creature sculpt I’ve been working on based on one of his dragon designs. Ignis in this case. A great painter and artist, really happy I had this opportunity to meet him at long last. A big shout out and thank you to Julie Douglas. As founder of the Draw-In event, she has steered this from day one and made it happen. 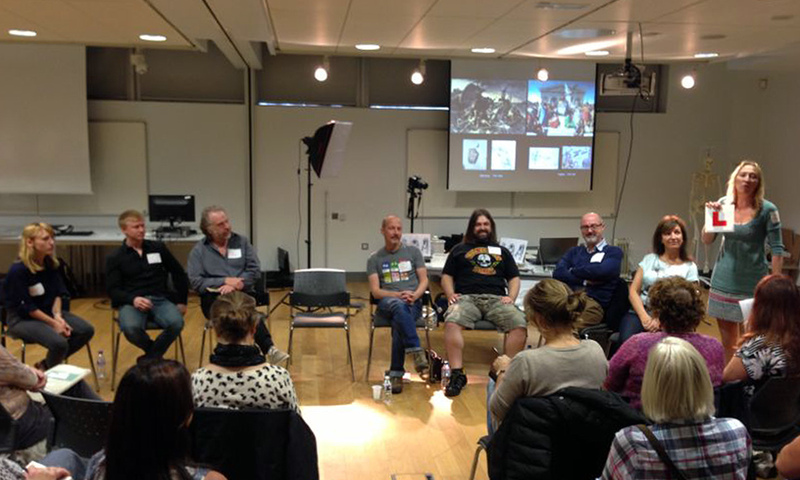 It’s been an unmissable opportunity to be involved as an artist and get to meet everyone else who attended. It’s been a humbling and highly creative experience and I hope it happens again in the future. It’s been a blast. Thanks Julie!